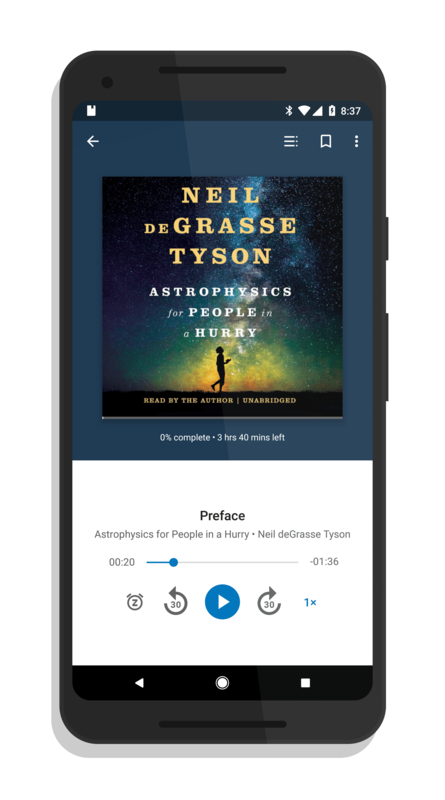 A new update to the Google Play Books app is rolling out this morning, bringing a new feature to trim silent moments in audio books to speed up the listening process. The update is version 4.3 for those keeping score at home and is just now making its way into the Play Store. The new Trim Silence feature is found in the Playback settings menu that you can access while listening to an audio book. For those that may not use Google Play Books often for audio books, this is accessed by pressing the speed playback icon while listening to an audio book. There you will find the new Trim Silence feature which cuts out silent moments in an audio book to speed up your listening. The ability to play audio books is not new to the app. That feature was added last year. The app already supports smart resume which allows you to start listening on one device and resume at the place you left off on another device. If you have the app installed, you should see the OTA update for the update land on your phone over the course of the next few days.